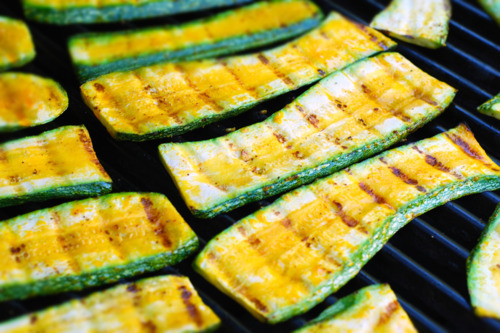 This simple yet bangin’ recipe is one that I modified from Cook’s Illustrated. 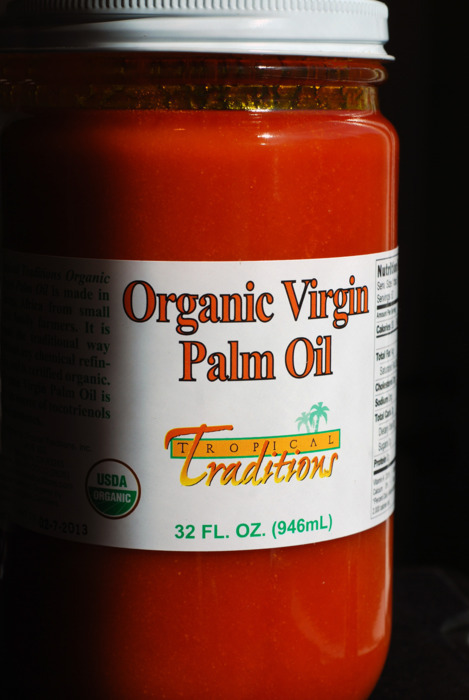 The key difference is in the fat – I subbed in virgin red palm oil for extra virgin olive oil. Thanks for the tip, Bill and Hayley! 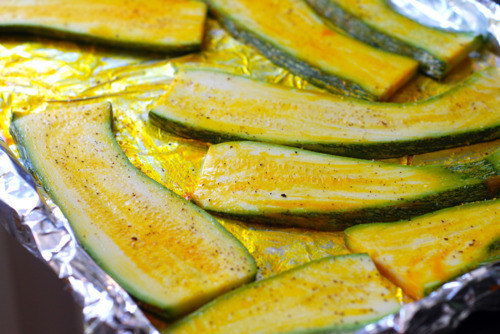 I lay the squash slices on a foil-lined baking sheet and brushed both sides with the palm oil. Then, I seasoned liberally with salt and pepper. Before serving, I drizzled on the vinegar and sprinkled on the basil. 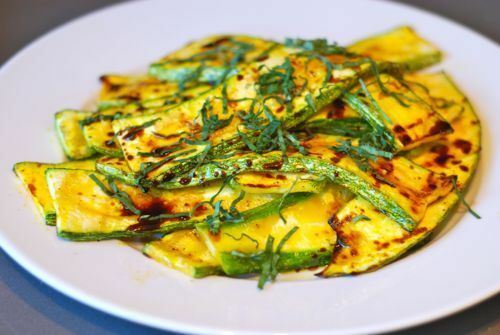 Now you know what do with that mountain of zucchini you’ll have this summer!